The long term goal of SWAMP is to utilize existing mapping and inventory data as base layers and to develop a detailed and comprehensive habitat assessment of flora and fauna of the watershed. 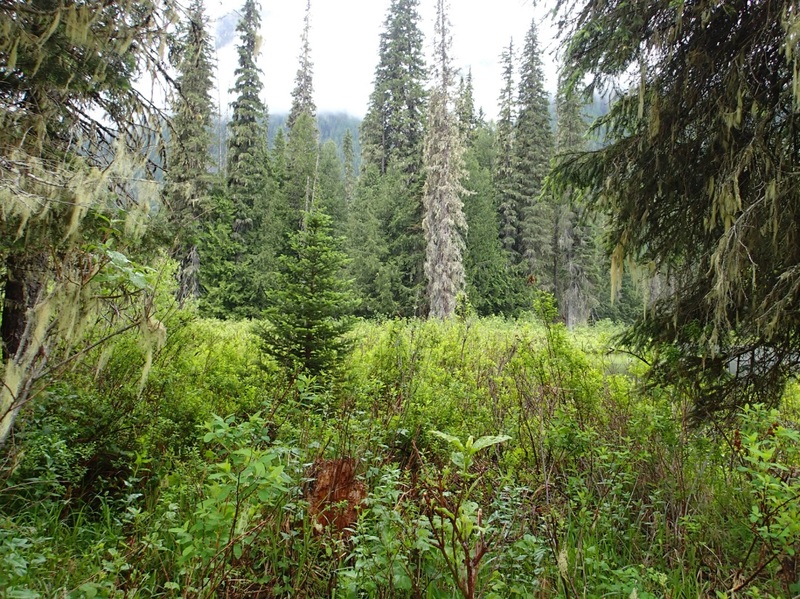 SWAMP is a multi-year initiative to establish a community based monitoring program to assess the abundance, distribution, and ecological integrity/function of wetlands and riparian habitat throughout the Slocan watershed. Ryan Durand of Durand Ecological Consulting is the lead biologist on the mapping, classification and vegetation assessments. The focus of the Phase 3 report, completed in 2016, was to perform detailed assessments on additional wetlands and present the results to the communities, with a focus on wetland mapping and characterization. 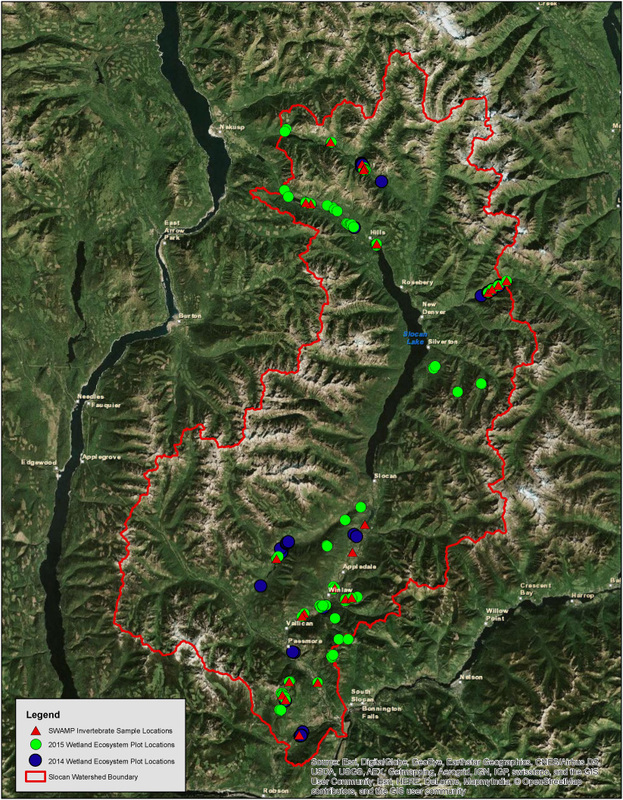 Target wetlands included a wide distribution of sample sites, with a continued goal of attempting to inventory and classify the full range of wetlands that occur in the Slocan watershed, with a focus on private property. See map of study sites here. Phase 2, completed during the summer and fall of 2014, involved the assessment of 50 wetland plots from four wetland complexes and several other smaller wetlands. The assessments utilized a multi-disciplinary approach to classify each wetland and assess habitat suitability for mammals, birds, reptiles and amphibians. A separate, but integrated, assessment of invertebrate diversity to determine ecosystem health was also completed. In addition, two volunteer training workshops were held and numerous community outreach events were attended. Phase 1 of the project, completed during the winter of 2013, involved collecting all existing information as to the type and extent of wetlands in the Slocan Valley, and developing an assessment method that was applicable for multiple levels of experience and education.